http://www.wowhead.com/spell=142315/caustic-blood will not stack on a Tank having the following mitigation abilities active: Blood Death Knight http://www.wowhead.com/spell=77535/blood-shield Protection Warrior http://www.wowhead.com/spell=2565/shield-block or http://wow.gamepedia.com/Shield_Barrier Protection Paladin http://www.wowhead.com/spell=53600/shield-of-the-righteous Guardian Druid http://wow.gamepedia.com/Savage_Defense Brewmaster Monk http://wow.gamepedia.com/Shuffle_(monk_ability) We didn't notice that since we usually test with 2-3 players. Thank you, we will test the Toxins again. During the start of the encounter, Kil'ruk and Iyyokuk remain floating on the ground. They should be flying around high above the chamber. Power of the Paragons: After killing a boss, players can't interact with the corpse and gain its ability. http://www.wowhead.com/npc=71158/rikkal-the-dissecto http://www.wowhead.com/spell=143337/mutate: Visual bug. The Scorpion model will wield the player's weapons in its claws. Mutated players do not suffer 50k nature damage. http://www.wowhead.com/npc=71154/karoz-the-locust http://www.wowhead.com/spell=143709/store-kinetic-energy/http://www.wowhead.com/spell=143700/flash: Ka'roz does not charge at random players. The boss does not move except when using http://www.wowhead.com/spell=143701/whirling. http://www.wowhead.com/spell=143759/hurl-amber: Ka'roz will fly up to a platform and will not throw amber at raid members. http://www.wowhead.com/npc=71153/hisek-the-swarmkeepe http://www.wowhead.com/spell=142948/aim: After the 45 yards knock back, players will be suspended in the air. 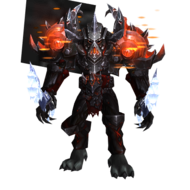 http://www.wowhead.com/npc=71155/korven-the-prime http://www.wowhead.com/spell=142564/encase-in-amber: Targeted bosses are not healed. http://www.wowhead.com/npc=71156/kaztik-the-manipulator http://www.wowhead.com/npc=71420/hungry-kunchong>Devour Whole: Players going near the add are not instantly killed. www.wowhead.com/spell=142651/molt>www.wowhead.com/npc=71425/mature-kunchong: Kunchong do not molt after reaching full energy. 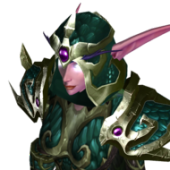 http://www.wowhead.com/npc=71160/iyyokuk-the-lucid http://www.wowhead.com/spell=142416/insane-calculation-fiery-edge: The boss should select a player, then dmg every player with the same criteria as the initial target. At the moment every player will be damaged regardless of their criteria. http://www.wowhead.com/npc=71157/xaril-the-poisoned-mind http://www.wowhead.com/spell=142315/caustic-blood: The duration does not refresh after every new stack. The tank's active mitigation abilities do not prevent Caustic Blood stacks from being applied. http://www.wowhead.com/spell=142528/toxic-injection: The entire raid will get http://www.wowhead.com/spell=142533/toxin-red. This will not inflict players with http://www.wowhead.com/spell=142534/toxin-yellow or http://www.wowhead.com/spell=142532/toxin-blue. Just messing around on QA. Oh, don't forget xp gain from Guild Battle Standards. The Siegecrafter Blackfuse cinematic will loop when players approach the Siegecrafter's door. A few reasons for why no one will que for LFR: Most LFR bosses are bugged. Players can get better gear from Timeless Isle and Siege. For those with money, ToT HC gear can be bought from the Firestorm site. The small amount of VP from completing a wing can be easily farmed from dailies/scenarios. If Siege LFR was available then I would be in favour of this merge. I joined June 2014 on Elegon in the Like A Boss guild. It was my first time playing WoW.